I was recently asked to give a type of demo lesson for a group of Maths Lit teachers, showcasing a Blind Kahoot! The idea behind this demo was to encourage teachers to think beyond the obvious applications and make technology an integral part of their teaching, not just an add-on. 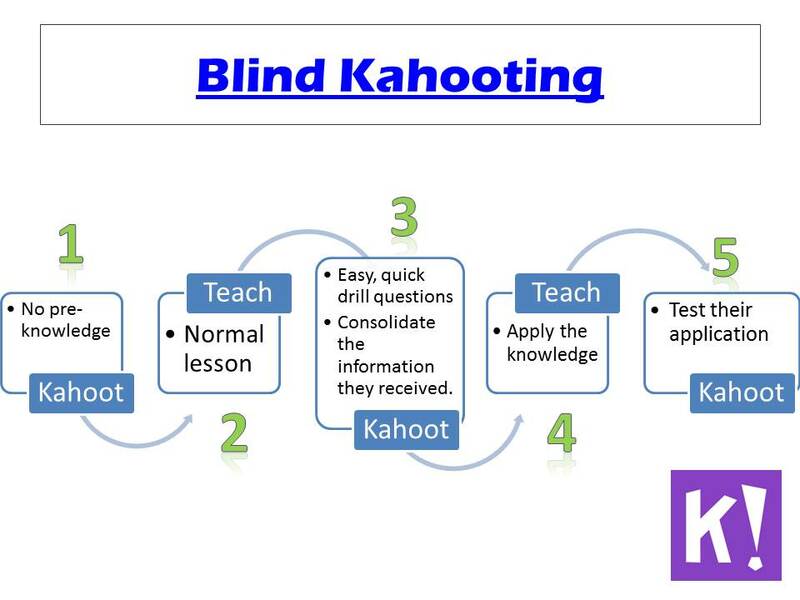 In a Blind Kahoot, you use Kahoot, not as a revision tool, but to introduce a topic and give context and structure to your lesson. For more info on Blind Kahoots, have a look at their website. 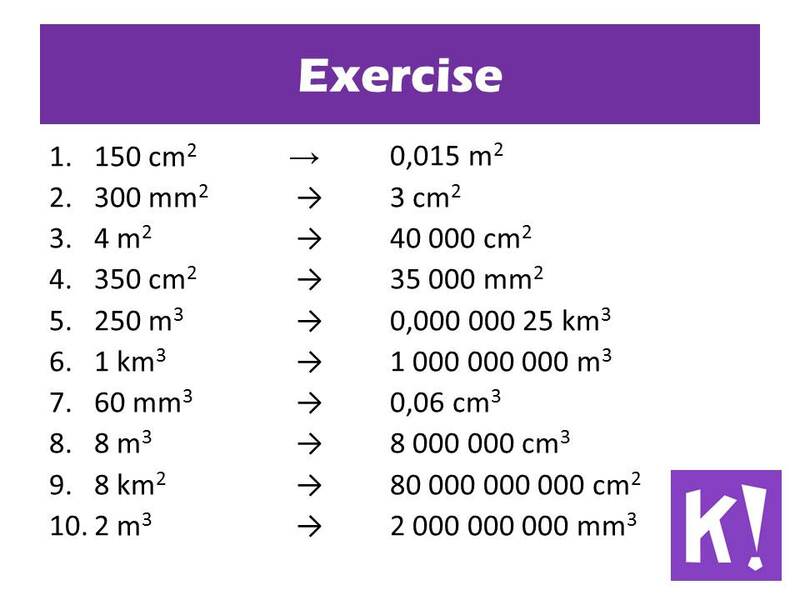 Pre-knowledge: Converting between mm, cm, m and km. 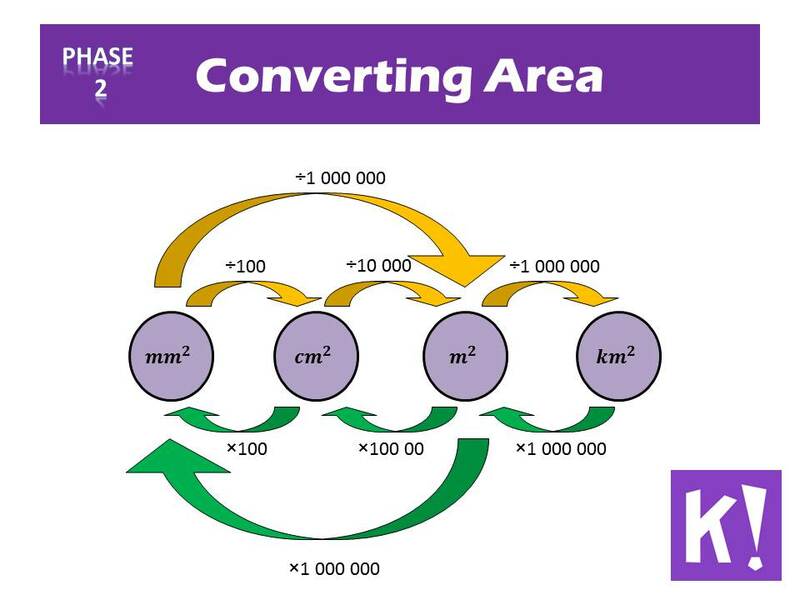 This lesson is aimed at learners who has never converted areas. I divided my lesson into 5 phases. Phase 1: Start the lesson with QUESTION 1-3 of the Kahoot without giving learners any background. Most of the learners will get the answers wrong since they want to apply the rules for lengths to areas. Complete all three questions before you do any explanations. Phase 2: Put the devices to the side and teach your regular lesson, explaining how to convert areas and why it is different from lengths. Use this time to answer all the questions that came up during Phase 1. During this phase, the learners should also copy notes into their books. Usually, at this stage of the lesson, I would get the learners to do a bunch of conversions to consolidate what they just learned. So all I did was put the exercise in the Kahoot. You will notice that the questions are repeated. However, the second time around the time is less. When the learners know that they are going to continue the Kahoot, they pay a lot more attention during the lesson. By picking my possible answers carefully I also manage to explain some of the misconceptions the kids might have. Phase 4: Apply your knowledge. Put the devices to the side again and continue the lesson with more complicated applications. Return to Kahoot for question 13-15. These questions are quite hard, and unlike the previous phase, learners will need pen and paper to determine the answers. Two minutes are allocated for each question, putting the focus on the calculations and not so much the speed. Incorporating Kahoot into your lesson like this, has 2 big advantages. It gives context to the information you are sharing. The learners want to listen and ask questions because they know that they will be playing just now and unless they understand what is going on they have no chance to win. But most importantly the learners are actively involved in what is happening. It is not a case of copying the notes down and figuring out what it is about at a later stage, they need to participate in the lesson to increase their chances of winning the Kahoot. Looking for more ideas using Kahoot? Examples of bringing play into your classroom. Playing games in your classroom. Hi…I taught until this year at a school that uses Kahoot quite a lot. So much, in fact, that the students experienced a form of "Kahoot-exhaustion". They started answering questions as quickly as possible and at random. They weaker students, especially, would do this. It became less fun for them and more a vehicle for play. So…I would caution teachers to use this lesson plan sparingly. The benefits listed above of context and active involvement are predicated on Kahoots being used sparingly. We haven't been using Kahoot! so often yet, so the kids still find it a novelty. I am actually surprised that they are still so excited about it. But, you raise a very good point, Eric, not only for Kahoot, but very everything you do in the classroom. Another example would be when you ask kids to Google information for themselves. Used in the right context it is very useful, used in every lesson, it start being an excuse for a lazy teacher. I think the temptation is always there when you find a new tool that works well, to try and stick it in every lesson. And that lowers the level of your lesson, but also the effectiveness of the tool. I did my first blind Kahoot yesterday – in a a Government class. I also used Kahoot twice but slightly differently to you. We started by playing a 20 question one on Interest Groups. Some of the answers could be deduced from previous questions so they were learning as they went along. Between each question I gave a brief explanation. Then we watch a Crash Course video on the topic. And then we went back and replayed the exact same Kahoot. On 5 of the questions all 16 in the class got the question correct. And many of the class got perfect scores. Everyone had fun AND learning happened so that was a huge success in my eyes. I hope you enjoyed it as much as my kids do. There are so many ways that Kahoot and similar tools can be used. But I think the most important is that you didn't just squashed it in at the end of a lesson. Listening to you, you planned the lesson and the place and purpose of the Kahoot very carefully and that is key to it being a success.